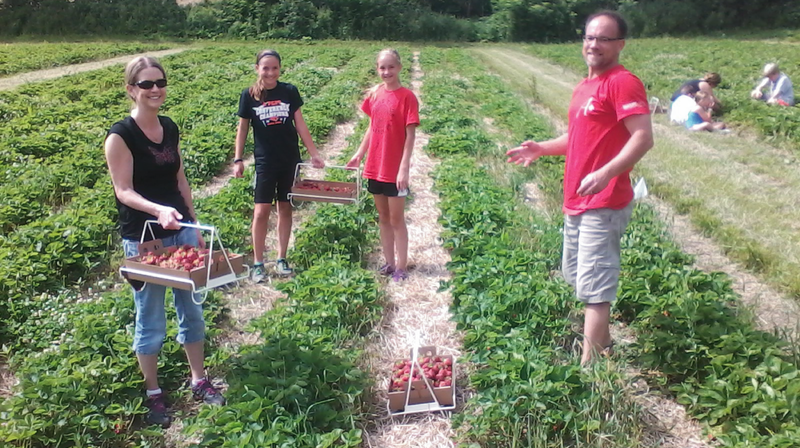 The Carandale Family invites your family to visit our You Pick (U-Pick) and Pre-Picked Strawberry Farm, conveniently located just minutes from Madison, 8 ½ miles South of the Beltline off Fish Hatchery Road in Oregon, WI. 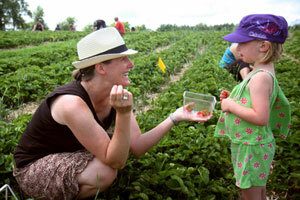 Bring your whole family on a strawberry picking adventure and Pick Some Sweet Memories that will last a lifetime. 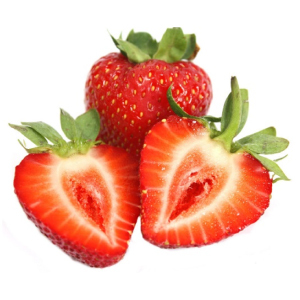 For more information on picking your own strawberries please visit our YOU PICK STRAWBERRIES page. Please check our DAILY UPDATE page or Facebook for our day to day hours and field conditions before coming to Carandale Fruit Farm. 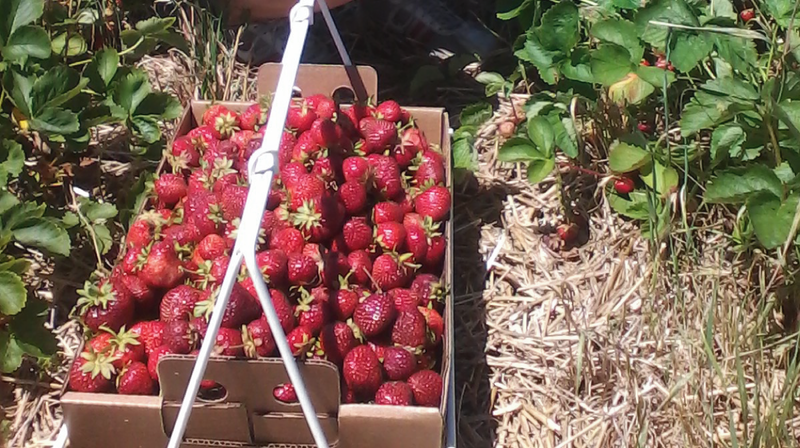 If taking to the fields to pick your own berries isn’t for you, or you just don’t have the time, we offer pre-picked farm fresh strawberries as well. 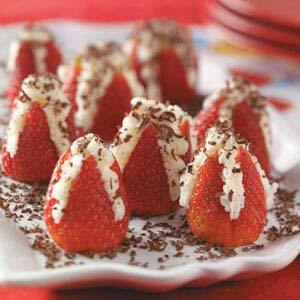 Please visit the PREPICKED STRAWBERRIES page to learn how to pre-order our Carandale quality strawberries. 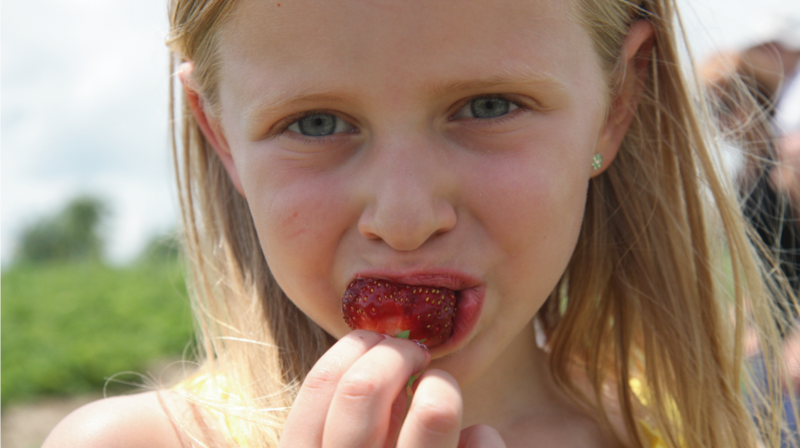 Without a doubt strawberries are our passion, but we also provide many other seasonal fruits such as concord grapes, aronia, various pears, plums, and other unique fruits from our research plot. These other fruits are only sold pre-picked, and can be found at the Dane County Farmer’s Market. You can find out when we will be at the Dane County Farmer’s Market and what fruits we will be offering by visiting our DAILY UPDATE page or Facebook page. We are located in the picturesque terminal glacial moraine. This is where the glacial ice sheet stopped its advance and began to melt, creating unique glacial features such as rolling hills, geological deposition of rocks/boulders, and of course kettles scattered across the landscape. It is not unusual to see deer, wild turkey, pheasant, rabbit, squirrel, fox, raccoon and other wildlife while visiting our farm. We strive to provide our customers an authentic farm atmosphere where you can enjoy a personal adventure in a natural setting. 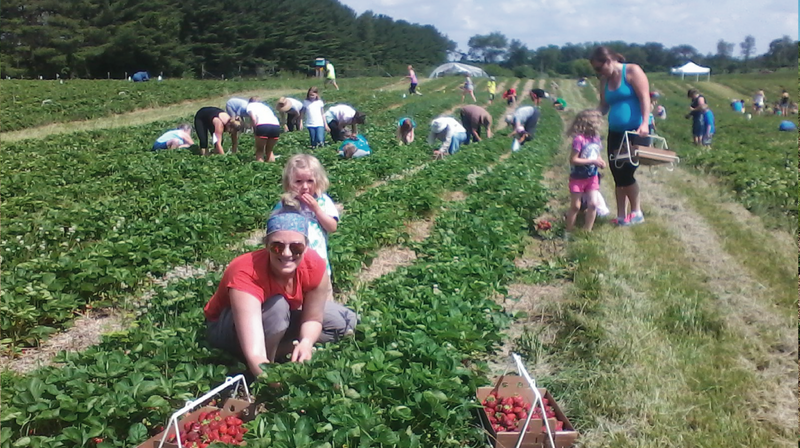 We want your trip to our farm a memorable experience with family, friends and neighbors. 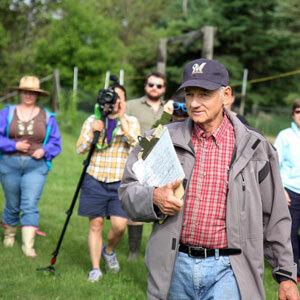 We value educational opportunities and are always happy to answer your questions and explain how we work with nature to provide you with safe, nutritional fruits grown in an environmentally conscientious manner. We developed a ‘Berry-Go-Round’ to transport your berries from the fields to a shady staging area near checkout, so you and your family can enjoy some quality time as you leisurely wander back from the fields. 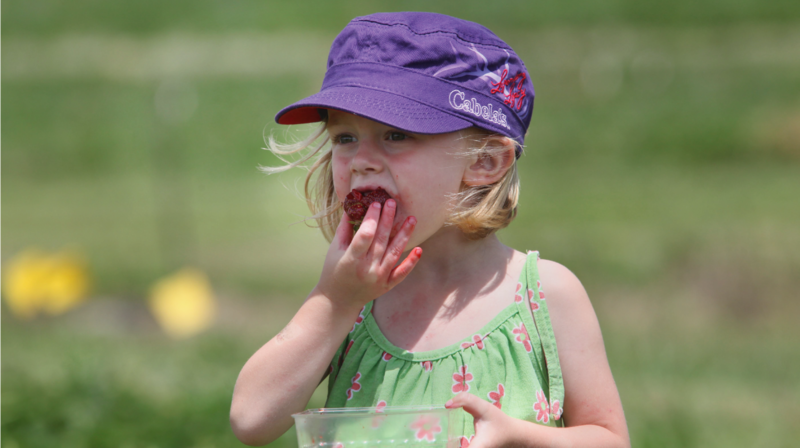 For more information regarding the Carandale Fruit Farm Experience please CLICK HERE.